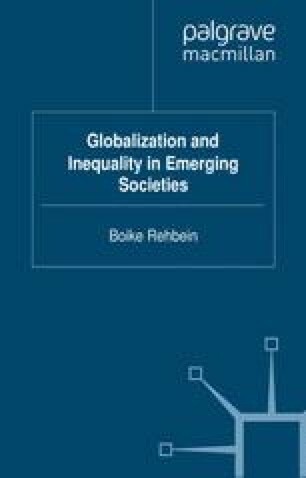 The subject of this book is the relationship between globalization and the various dimensions of inequality in emerging societies. The book utilizes a unit of analysis that distinguishes it from previously published research on inequality. Rather than focusing on the global picture or Western nation-states, it seeks to understand patterns of inequality by linking global trends with empirical realities in understudied settings of the global South. Most chapters are based on original research that is both linked to globalization and aimed at constructing post-Eurocentric theoretical frameworks. These frameworks are highly relevant to contemporary social theory. While social theory to date has been either outright Eurocentric or based on the idea of Western modernization, non-Western societies have become legitimate bases for theory-building — and not merely for theory-application. One of the book’s aims is to demonstrate this change.